FINNISH FACEBOOK USERS now have an opportunity to find out how ads on the social media platform try to affect their voting behaviour. Open Knowledge Finland, an advocacy group promoting the creation of a fair and open digital society, on Monday announced it has launched a tool called Vaalivahti, allowing Facebook users to find out who is trying to influence them and why certain, possibly tailor-made, ads are shown to them. The users of the tool will simultaneously help to build an open archive for voters and journalists to examine campaign ads on social media. “If election-related communications do not stand the light of day, they should not be part of Finnish politics. Because social media platforms have refused to help in this regard, citizens must work together,” comments Aleksi Knuutila, the project manager of Vaalivahti. Concerns about the effects of social media on election results have increased in the wake of the latest presidential elections in the United States and the Brexit referendum in the United Kingdom. The lack of transparency in digital campaigning makes it impossible to hold accountable people who distribute negative or erroneous information on social media, according to Open Knowledge Finland. Voters, meanwhile, may not realise that the ads shown to them have been tailored to their activity and interests. 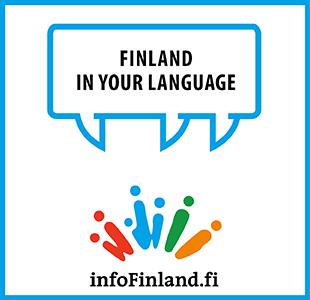 Open Knowledge Finland on Monday revealed that the first test users of the tool have added more than 200 campaign ads to the open archive. The tool can be installed for free at Vaalivahti.fi, where people can also explore the entire archive and see how campaigning looks from outside their own social media bubble. The Vaalivahti tool is based on a program called Who Targets Me, an ad tracker developed in the United Kingdom. The Finnish parliamentary elections will be held on Sunday, 14 April 2019.